There are already a number of South Americans on Merseyside, with Fabinho, Roberto Firmino, and Alisson making up Liverpool’s Brazilian contingent, and Colombian Yerry Mina joining Brazilians Richarlison and Bernard at Everton. The region has become a popular destination for players from the continent, with the two Manchester clubs just down the road also boasting their fair share of South Americans. So it’s no surprise that Liverpool and Everton are turning to the region again, and have been linked with Porto defender Eder Militao, and Boca Juniors midfielder Wilmar Barrios respectively. For Everton the need for a defensive midfielder will arise should Idrissa Gueye join Paris Saint-Germain. The Senegalese has been linked with a return to Ligue 1, and the defending champions are looking to add some grit to their star-studded side. It could be argued that the Toffees need reinforcements in this area whether Gueye leaves or not, as they have looked light in midfield when the former Aston Villa and Lille man has been out of the side. Reports in Argentina and Colombia seem to agree that if Idressa Gueye joins PSG this month then Wilmar Barrios will be his replacement at Everton. Boca have confirmed that they are yet to receive a formal offer for the Colombian international. Barrios is very similar in terms of his profile, and will have been identified by Everton’s new Director of Football Marcel Brands, whose influence at the club increased recently when he was appointed to the board. The 25-year-old Colombian would be a like for like replacement, but would need some time to iron out the rough edges to his game, although it could be said that Gueye still possess some of these too. Liverpool have suffered something of a defensive crisis of late, though they have been lucky that the one man in their ranks who hasn’t suffered some kind of medium to long-term setback is their Dutch defensive talisman, Virgil van Dijk. But the defenders around him are regularly spending time on the treatment table, with Joel Matip still in need of match fitness, Joe Gomez recovering from a broken ankle, Dejan Lovren out with a hamstring injury, and Trent Alexander-Arnold suffering a knee injury. 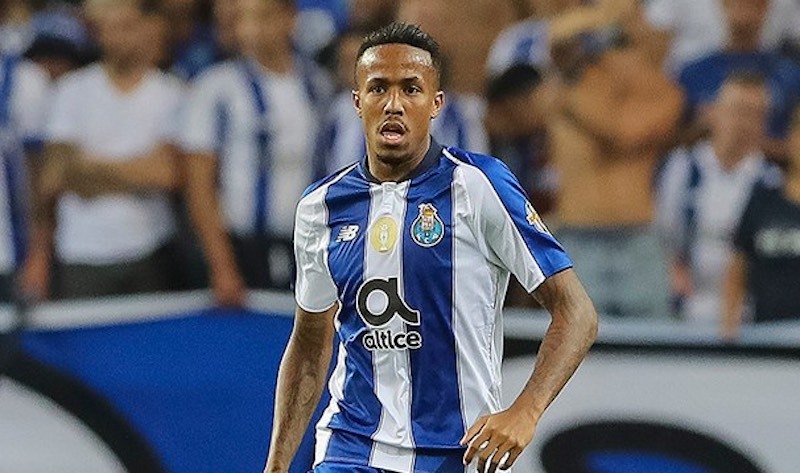 It makes sense, then, that the club have been linked with a versatile defensive player in the shape of Militao, who is a genuine option at both right back and centre back. Brazilian sources say that the defender, who is currently impressing at Porto having moved from Sao Paulo in the simmer, would prefer a move to the Premier League despite interest from Real Madrid. The increase in profile of players such as Richarlison, Fabinho, and Firmino since their move to the Premier League means that Brazilians are now looking to the competition as they attempt to work their way into the national team set up. Militao has one cap to his name, which came against El Salvador, and is competing for the right back position with a number of players including Liverpool’s Fabinho, who operates at full back for his country despite playing in midfield for his club. Like his compatriot, 20-year-old Militao would be a versatile option for the Reds, and could be seen as a Brazilian version of Joe Gomez. Featured image used under Creative Commons Attribution-Share Alike 3.0 License.